I mentioned earlier that these are frequent visitors to our place. Here is another shot of one, presented a little bit differently. This entry was posted on April 27, 2011 by ianwiese. 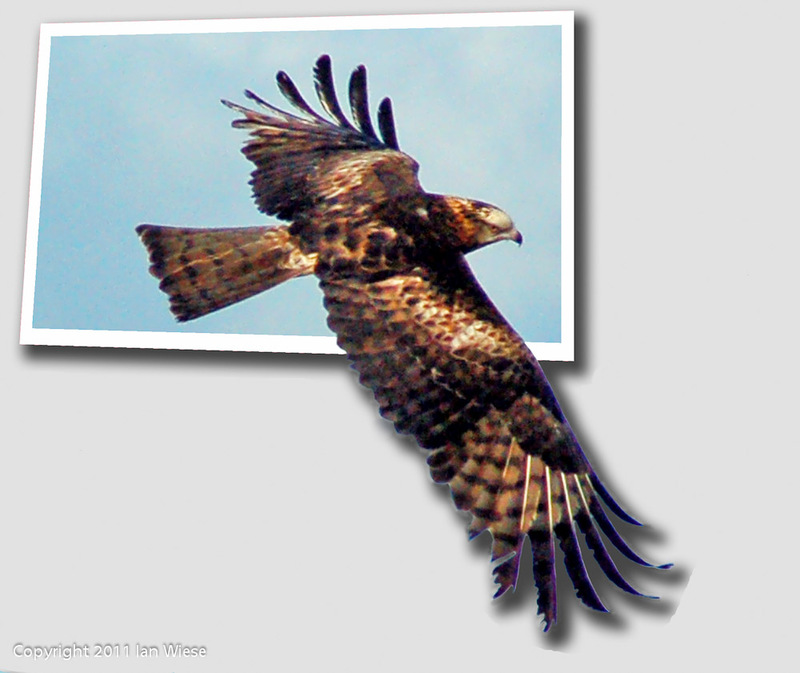 It was filed under Birds, Landscape and was tagged with Kite, photoframe, square tailed. Thanks Mark. This was taken from our balcony! We get them really close, and have even had a Peregrine Falcon on the balcony. I think he had his eyes on our dogs (Maltese-Shitzu, so they are small enough for him to attack them).